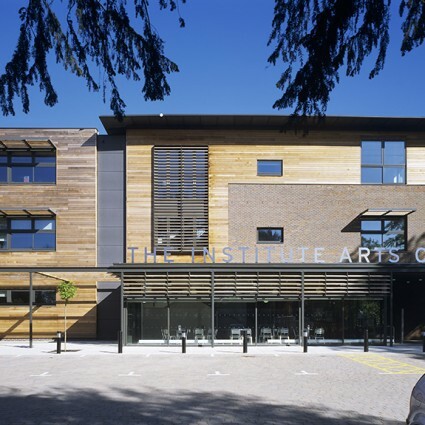 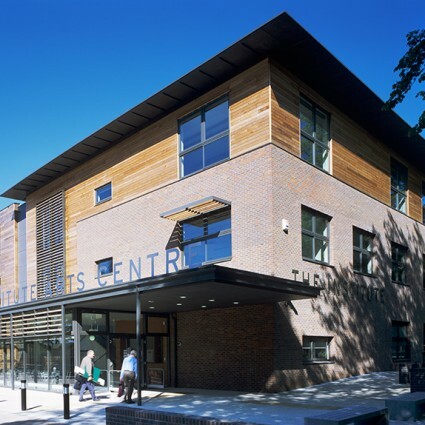 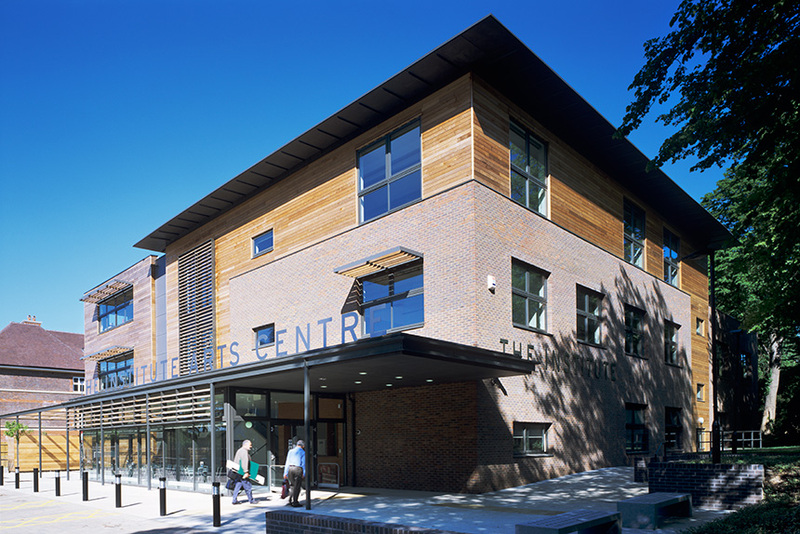 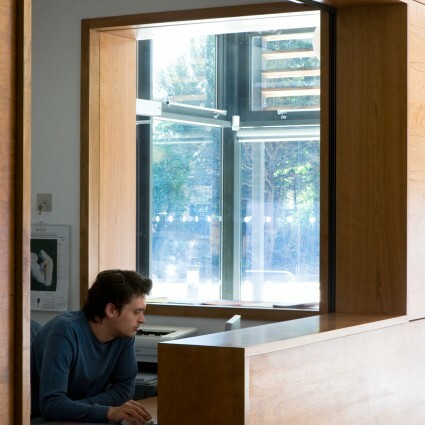 The new Arts Centre is situated in a Conservation area, surrounded by mature trees and close to East Finchley Station. 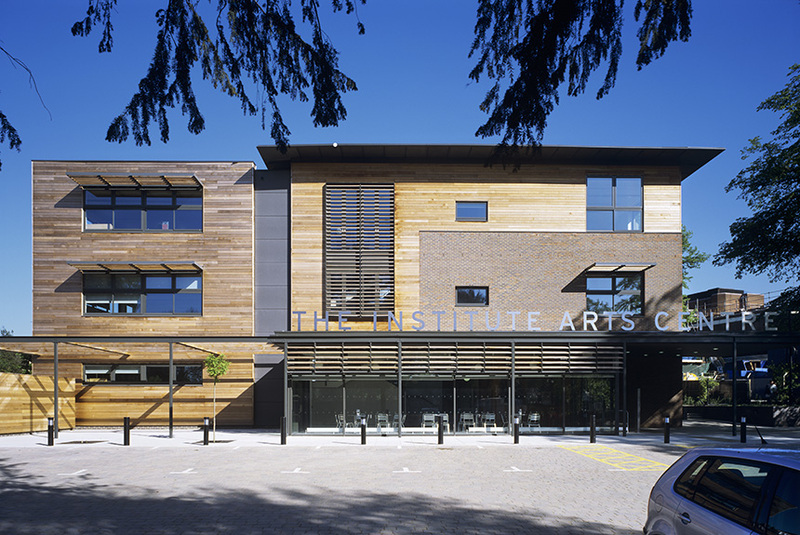 The architecture provides a comfortable, generous and welcoming artistic environment for the students and staff of the Institute. 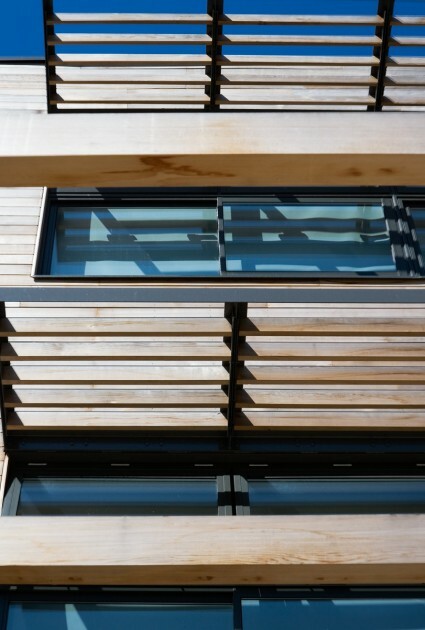 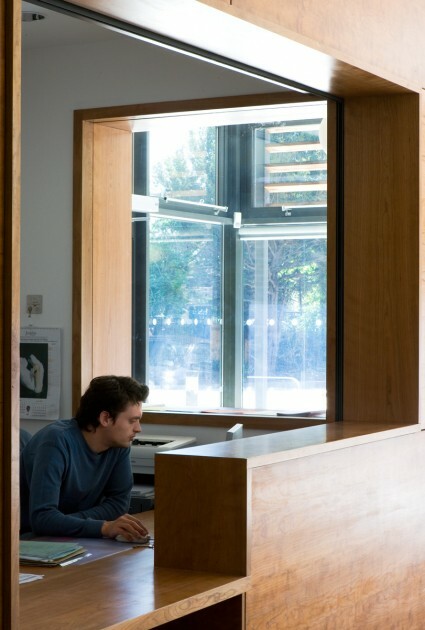 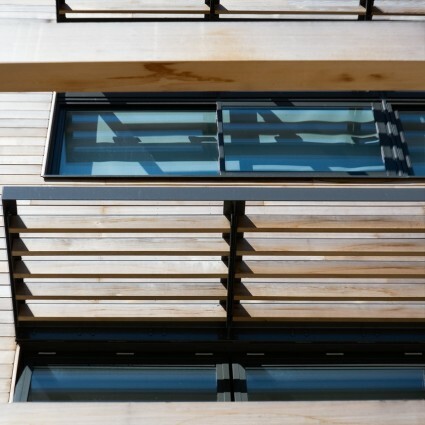 In a challenging local environment, we have designed a simple modern studio building with high ceilings and large windows, tempered by solar shading.